It happened. It happens every single year. Several times a year. Apparently, we not always aware that something has changed. But this time we know it for sure. 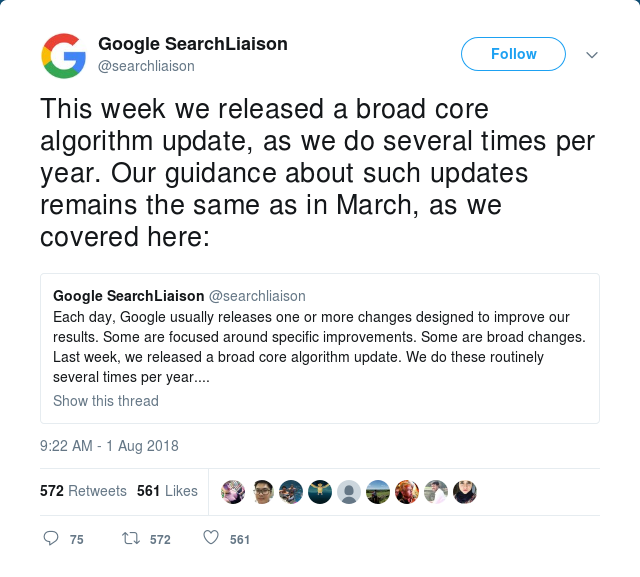 That’s right, we’re referring to the following Google’s broad core algorithm update. This August, almost every webmaster registered ups and downs in their websites traffic and rankings. 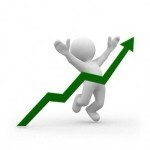 Some websites experienced traffic growth, while the others saw the abrupt traffic decrease. What actually happened and how to deal with it? Keep reading to know more and stay in the loop of the latest twists. Basically, one have to understand what ‘broad update’ means. In the case of previous named Google’s updates (Panda, Penguin, Hummingbird, Pigeon, Mobilegeddon etc.) we knew the specific target of each algorithm. 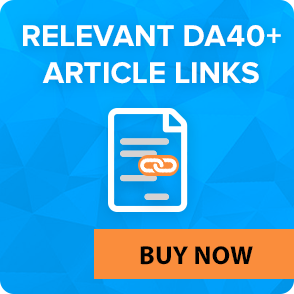 That is Panda was developed to depress positions of websites with thin content, Penguin punishes for spammy backlink profile, Pigeon delivers better results of local search. Knowing the reason why your website could have been punished by Google, you could go back and fix the specific problem with your website. 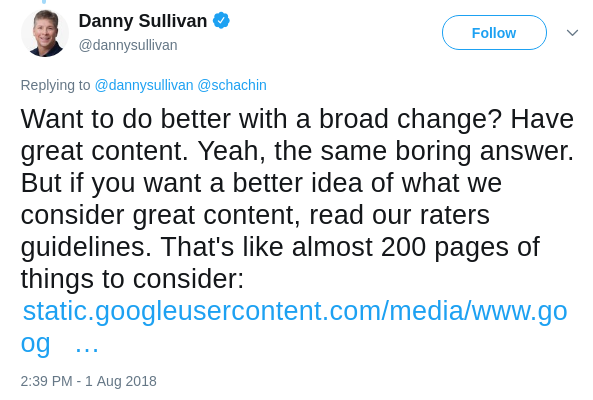 Broad algorithm update is different. It concerns all those enigmatic 500+ factors that Google use to reward or punish websites. That being said, Google just cannot stand out and reveal what they’ve changed. If they did so, they’d betrayed a secret of their algorithm operation. Sure, this is hardly the answer everyone was waiting for. Still, here are several statements that have to shed light on the core algorithm update. 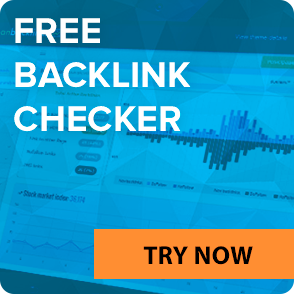 The majority of SEO professionals concluded that the latest algorithm appears to have a strong hold upon the organic and local search results. This update has been dubbed “the Medic Update” by Barry Schwartz for the reason that many medical and wellness sites were affected. In fact, this algorithm goes far beyond the medical topic. YMYL (Your Money or Your Life) sites experienced rough patches the most. Multiple big companies have dropped in rankings favoring smaller local businesses. These findings signify that Google might be looking for some new ways to evaluate websites in terms, trust and authoritativeness with the aim of providing users with much better results in search queries. What websites got a scolding? EAT and YMYL. These two acronyms have been on our radar since 2015 when Google provided us with their Search Quality Evaluator Guidelines. The first term stands for ‘expertise, authoritativeness, trustworthiness’, while the second one means ‘your money or your life’, and these are the pages on medical, legal, financial topic, and the like. This year, E-A-T is going to gain the paramount importance. Our Full SEO Services deal with putting your website in order to comply with Google’s Quality Guidelines. Google admits that EAT is listed among the top concerns for website quality. So if you haven’t paid the proper attention to developing EAT content, now is the right time to begin doing so. As it was stated above, EAT stands for ‘expertise, authoritativeness, trustworthiness’. Keep in mind EAT principles every time you craft content for your website. Believe it or not but EAT is the prime reason why you might be able to push raging rapids of people to your website and outgun your business rivals. This is a dead giveaway that Google place a huge value upon EAT when evaluating the quality of your website. What shall you do if you were hit? If you were the one, who saw the traffic and rankings drops, the only way to cope with it is to… carry on. 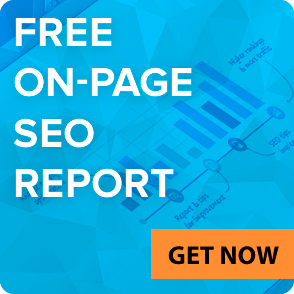 In truth, this time Google doesn’t punish you for any gaps in your SEO campaign. It could be nothing bad with your website at all. Just a reminder that you cannot set your content and forget it as it could be done with all those under-the-hood technical issues. However, if you cannot just sit back and wait for the swarm of people coming back to your website, here are some tips that will let you to revamp your site and show esteem for your readers. Reflect your EAT. Don’t undervalue the significance of About us page. Nevertheless we don’t know for sure whether Google takes all the credentials about your website from there, you cannot afford to miss the opportunity to present yourself in the most favorable light. Plus, it’s catch-as-catch-can when you want to show your authority to Google. Reflect your writers’ EAT. When you have a team of writers for your corporate blog, it would be great to show that they are experts in their field. At least, the writer’s bio will profess their experience and show off the expertize. Cultivate your authority and reputation. The best thing you can do for your business is establish yourself as a reliable professional and well-known expert in your field. Printed media publications, advertisements, personal endorsements – these are just several examples of what can be made to make your brand appear on your target public radars. If you’re eager to get your website EAT, we’ll help you with that and provide the appropriate suggestions. Look closely to your goods/services. The chances are that goods/services you are offering your customers may look like spammy or harmful to people. If so, you might have been getting a ton of negative reviews. And this would be the signal to your immediate reaction. But this is quite a different story. Adjust your goods to EAT standards. If you sell a product the primary goal of which was to make people healthy, secure, and happy, consider the best practices of EAT guidelines. Be sure that once your customers start talking about the great value of your business, your profit will pump up in the next breath. How to avoid being hit by the Google’s update? As we can see, there’s no single receipt for doing well notwithstanding the latest Google’s algorithm update. We know it may sound like a wishy-washy advice, but you need to watch over your content and proper website optimization. And that’s it, no complex revamps needed. Just go on doing what you have to. And if everything done properly, you’ll not have to worry about the following Google’s update. 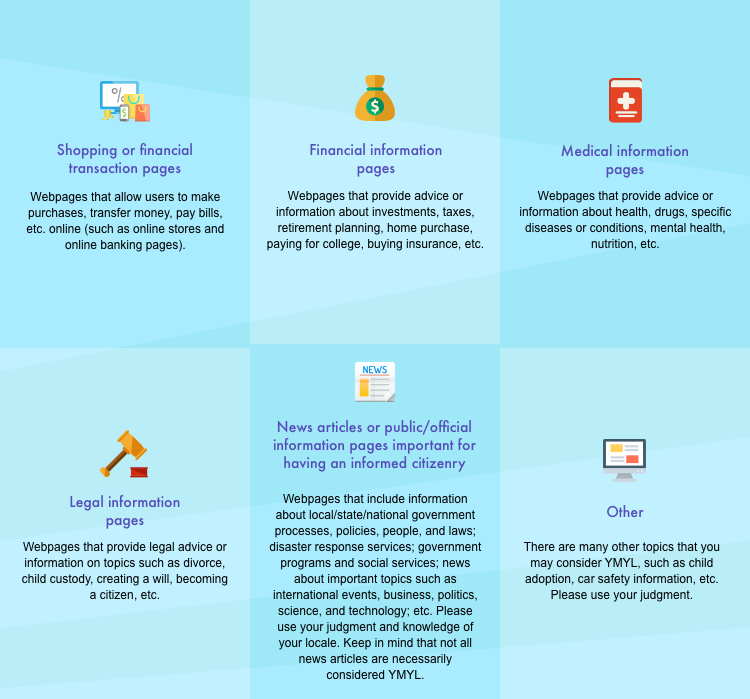 Based on our customers’ experience, it’s a good chance to get hit by the new update in case you run medical, nutrition-focused, or wellness website. So what should you do to lessen the adverse effect of the Google update as much as possible? Were you hit by this algorithm update? We’d love to hear from you! Just leave your comment below.